It's a second Jeep (minivan) Thing. Do you understand yet? The Spanish market understood. They took the 1966-73 Jeepster Commando chassis and turned it into an actual 4x4 minivan, which they sold from 1970-85 as the Jeep SV Toledo. 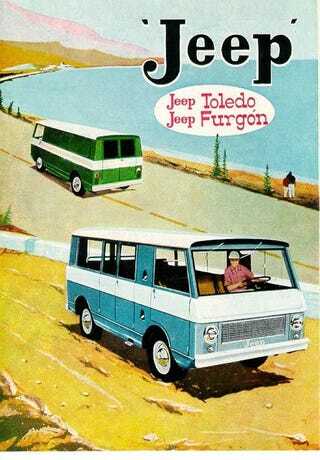 It also came as a 2-door pickup called the Campeador, a 4-door pickup called the Duplex, and a cargo van called the Furgon.